FERC Issues Final Rule on Reliability Standards for Generator Interconnection Facilities September 19 – FERC issued an order approving modifications to four NERC reliability standards, clarifying the reliability obligations of generator owners for tie lines interconnecting with transmission facilities. The changes are designed to eliminate reliability gaps between generator and transmission facilities. The final rule will not require widespread changes to the registration status of generator owners and operators; however, NERC retains the authority to reclassify facilities on an as-needed basis to protect system reliability. Revised standards PRC-004.2.1a and PRC-005-1.1b will take effect November 25, 2013, revised standard FAC-001-1 and requirement R3 of FAC-003-3 will take effect on April 1, 2015, and the remaining requirements of FAC-003-3 will take effect on April 1, 2016. For more analysis, see our alert. FERC Proposes to Approve Updated Generator Verification Standards September 19 – FERC issued a notice of proposed rulemaking (NOPR) proposing to approve new reliability standards MOD-026-1, MOD-027-1, PRC-019-1 and PRC-024-1. The new standards are designed to “improve the accuracy of model verifications needed to support reliability and enhance the coordination of generator protection systems and voltage regulating system controls.” In addition, the NOPR proposes a new Reliability Standard MOD-025-2 be created by consolidating MOD-024-1 (Verification of Generator Gross and Net Real Power Capability) and MOD-025-1 (Verification of Generator Gross and Net Reactive Power Capability). Comments are due by November 25, 2013. NERC Proposes Changes to TFE Reporting Process September 16 – Responding to a September 3 FERC order, NERC proposed changes to its Rules of Procedure for reporting of information related to Technical Feasibility Exceptions (TFEs) from Critical Infrastructure Protection (CIP) requirements. Specifically, NERC proposes that entities must submit a Material Change Report to their Regional Entity within 30 days of discovering a material change in the facts underlying approval of a TFE. NERC also proposes additional detail be added to its annual TFE report to FERC. Comments on the proposed changes are due by October 31, 2013. 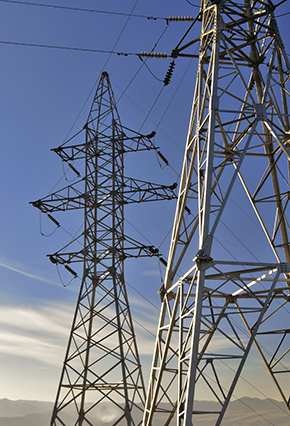 NERC and Texas Reliability Entity (TRE) Jointly Propose New Regional Reliability Standard September 18 – NERC and TRE jointly submitted a new regional Reliability Standard BAL-001-TRE-01 to FERC for approval. The proposed standard addresses Frequency Response in ERCOT to stabilize frequency during changes in the system generation-demand balance. The new standard is designed to maintain a steady-state frequency within defined limits by balancing real power demand and supply in real-time throughout the ERCOT Interconnection. FERC Accepts Revised NERC-SPP Delegation Agreement September 24 – In a letter order, FERC accepted amendments to SPP’s bylaws to address withdrawal of SPP membership, implementation of a consolidated balancing authority, indemnification and liability between SPP and its members, and changes to SPP’s committee provisions. NERC Filings at FERC Recent NERC filings at FERC include: (1) Comments in Response to Notice of Proposed Rulemaking on PRC-005-2 (Protection System Maintenance)​​; (2) ​Joint Comments with WECC in Response to Notice of Proposed Rulemaking for BAL-002-WECC-2-Contingency Reserve​​; and (3) Motion for Leave to Answer and Answer in the compliance registry appeal of South Louisiana Electric Cooperative Association. Alberta Electric System Operator to Assume Reliability Coordinator Functions from WECCSeptember 12 – AESO announced that, effective January 1, 2014, it will assume responsibility for the Reliability Coordinator functions that WECC currently provides to AESO, consistent with WECC’s reorganization and divestiture. AESO expects that increased efficiencies and reduced conflicts with other jurisdictions will result in cost savings of more than $3 million over 5 years. NIST Holds Fourth Cybersecurity Workshop September 11-13 – The National Institute of Standards and Technology (NIST) held its fourth workshop to discuss the recently issued Draft Preliminary Cybersecurity Framework. The workshop is part of an ongoing effort initiated by the President’sExecutive Order No. 13636, which directed NIST to work with stakeholders to develop a voluntary framework for reducing cyber risks to critical infrastructure. DOE Announces $30 Million in Awards for Cybersecurity Development September 19 – The Energy Department announced $30 million in funding for eleven projects focused on developing improved energy delivery control systems. Selected projects include development of improved wireless communications, remote systems configuration, and automated response to cyber security threats. Cisco Observes “Watering-Hole” Attacks on Energy Sector September 18 – Cisco announced that, since early May, it has noticed a number of malicious redirects that appear to be part of a “watering-hole” style attacks targeting the Energy and Oil sectors. A “watering-hole” attack infects legitimate, frequently visited websites in order to broaden the attack’s reach and avoid blacklists. The infected website is then used as a launch pad to infect a targeted list of victims when the site is visited.